This song is awesome and means a lot to me! I love the guitar work and quiet middle and absolutely love the lyrics as I can relate to what is written in this song. I have been the one "Fumbling his confidence And wondering why The world has passed him by." I have also been "Hoping that he's bent for more than arguments And failed attempts to fly." Fortunately for all of us we are all meant to live with God forever thanks to what Jesus Christ did for us in dying for our sins. 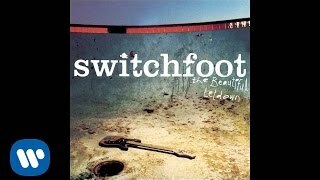 I am very grateful to Switchfoot for writing and recording this excellent song.